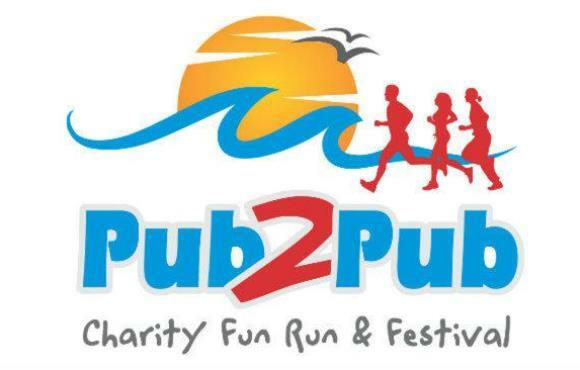 After such a successful event last year for our "Big Feet and Little Feet" we will once again participate in the Pub2Pub Fun Run from Dee Why, Warriewood or Mona Vale finishing with a family festival at Newport Beach. This is one of the most picturesque coastal routes in Sydney and with 3 distances to choose from, so there is something for everyone from families to serious runners. It's open and achievable for everyone in the family no matter how big or small, old or young you are! Run courses start at Dee Why (13km), Warriewood (6km) and Mona Vale (3km). All runners will cross the finish line at the Family Finish Festival at Newport Beach where the SF Super Series will be waiting to cheer you home! 13 km run - Dee Why SLSC to Newport SLSC. Feel the electric vibe at the Dee Why Beach race start. With an 800m stretch of sand at the beginning and a couple of hills along the way, this course is a personal challenge for even fit runners. Minimum age 10 years. There are 4 starting groups based on running experience and time. 6km run/walk - Rat Park at Warriewood to Newport SLSC. This is a great mix of fitness and fun, perfect for corporate groups and families with older children. Starting at Rat Park on Walsh Street, Warriewood and heading up to Turimetta Headland. No minimum age. 3km run/walk - Apex Park, Mona Vale to Newport SLSC. This one is all about fun and fancy dress. A perfect family walk or run, no minimum age and accessible for all (prams, walkers, wheelchair). More than anything we ask you to bring your friends, and have fun! We also ask all our participants to commit to setting up a fundraising page (as part of your registration) and raising $250 per person for the Sanfilippo Children's Foundation. This may sound like a lot of money, but you are not on your own. We will help you with fundraising ideas and tips. Our SF Super Series running coach, Gary has put together a training guide for the 6km and 13km run distances, which will be available in Training HQ and sent to participants. We also recommend joining Parkrun. Parkrun organise free, weekly, 5km timed runs in various places across the country. They are open to everyone, free, and are safe and easy to take part in. The runs take place in pleasant parkland surroundings and people of every ability are encouraged to take part and welcome to the group. If you are on the Northern Beaches, join Parkrun at Curl Curl lagoon on Saturday mornings... you'll be sure to see a number of SF Super Series athletes there (look out for the training shirt!). To join parkrun, you simply need to register first and follow the instructions in their registration email. This course is a personal challenge even for fit runners. Minimum age 10 years. There are 4 starting groups based on running experience and time. Dee Why to Newport. Juniors are minimum 10 years old, and under 18 on event day. There are 4 starting groups based on running experience and time. Mona Vale to Newport. Its all about fun and fancy dress. Perfect for families and a great starting point for young athletes. Suitable for everyone, accessible for strollers, walkers, wheelchairs. Under 18 years old on race day. Mona Vale to Newport. Its all about fun and fancy dress. Perfect for families and a great starting point for young athletes. Suitable for everyone, accessible for strollers, walkers, wheelchairs. Warriewood to Newport. Good mix of fun and fitness. Prams welcome (start at the back of the pack). Warriewood to Newport. Junior is under 18 years old on race day. Great run for the family and older kids. If you can't be there on the day, or can't run the distance but still want to be part of the team and fundraise- join us as a Virtual runner!